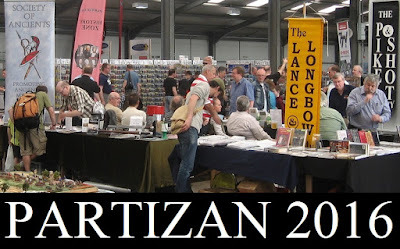 Partizan's new venue at the showground - but very much the familiar formula and a hall full of old friends and a great atmosphere. 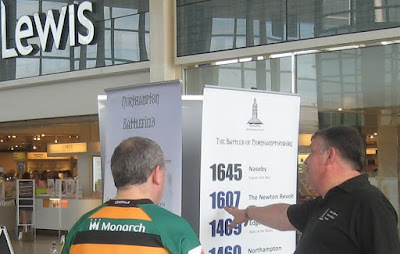 It seems they were queueing round the block to welcome a reconfigured favourite. 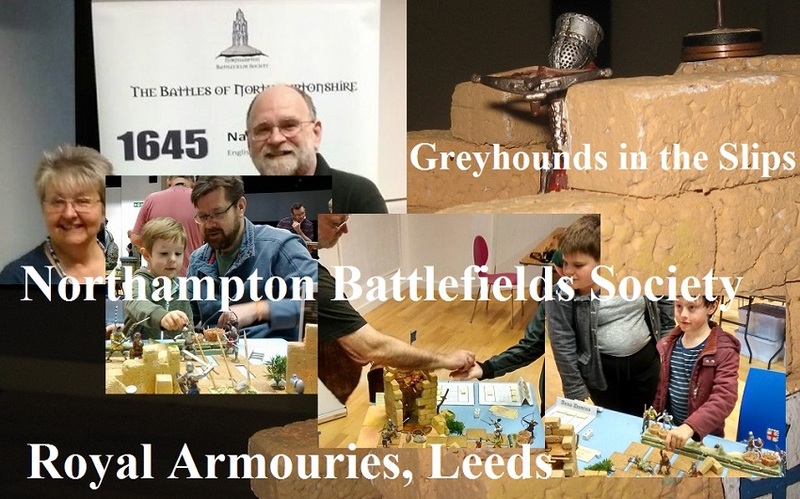 A special zone for the societies - what a great idea. 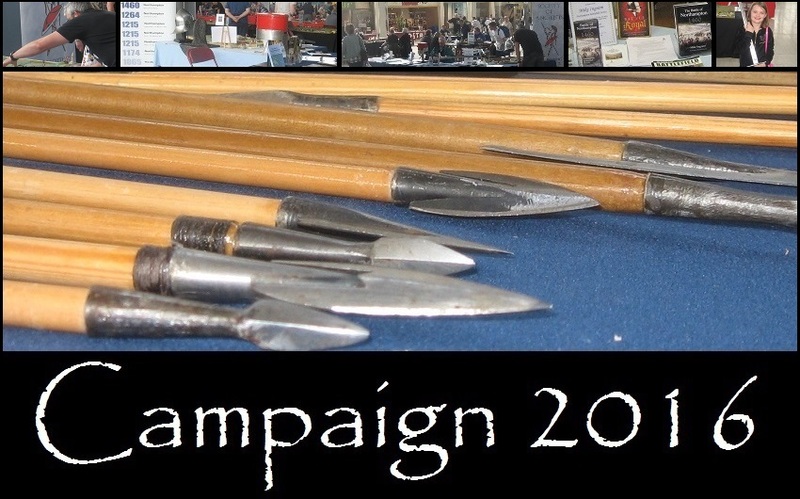 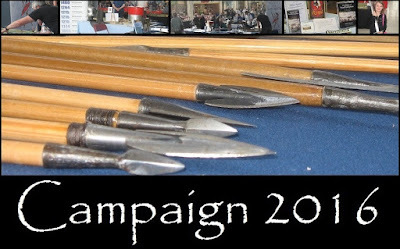 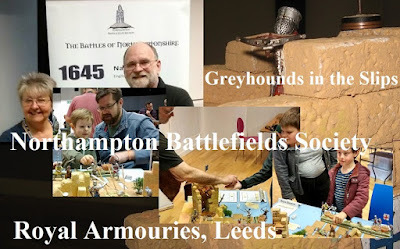 By 'ourselves', for this one I mean Lance & Longbow, the Northampton Battlefields Society and the Society of Ancients. 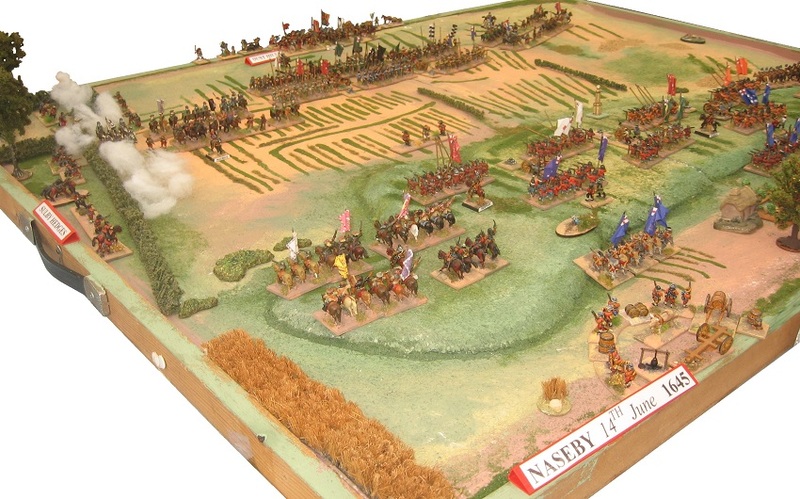 We supported 2 battles from Northamptonshire ... the 1460 battle of Edgcote (directly on the L&L and SoA remit) and the county's most famous battle, Naseby from the Civil War. 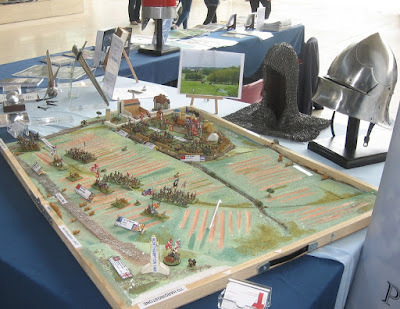 And the Battle of Naseby (Northampton Battlefields Society/Naseby Battlefield Project) ... Naseby, of course, have recently begun a start up project in the next stage of their bid for a 21st century Visitor Centre. 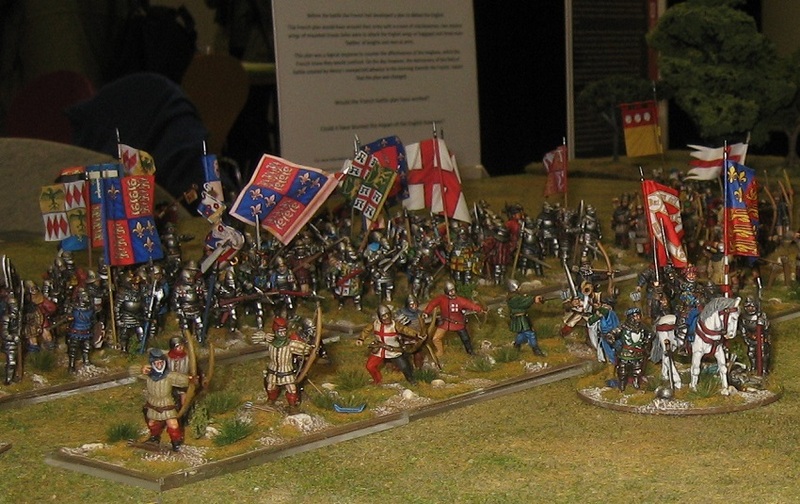 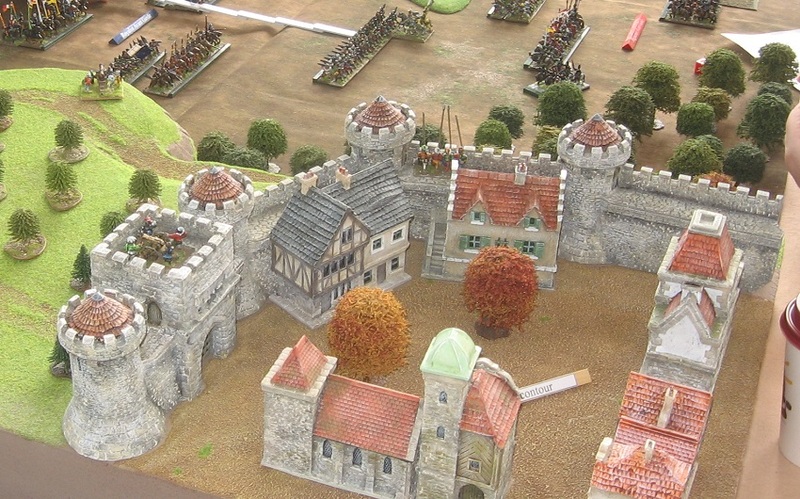 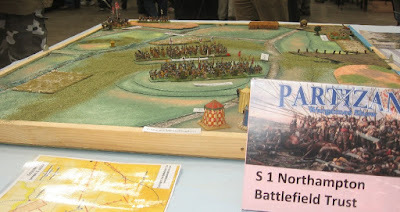 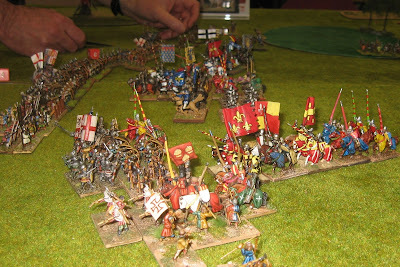 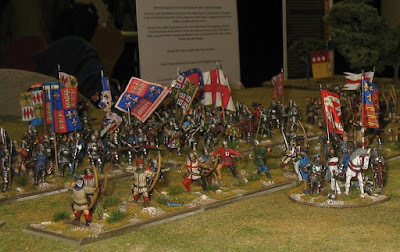 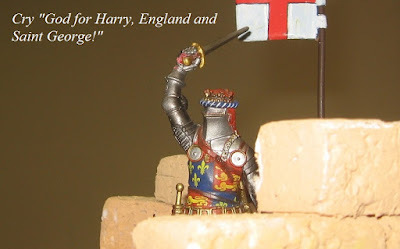 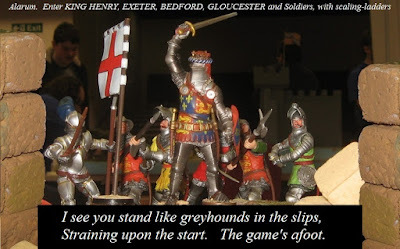 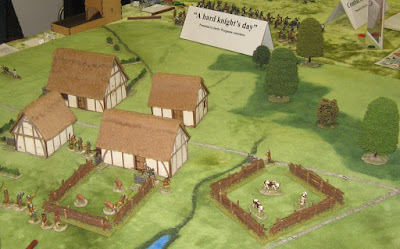 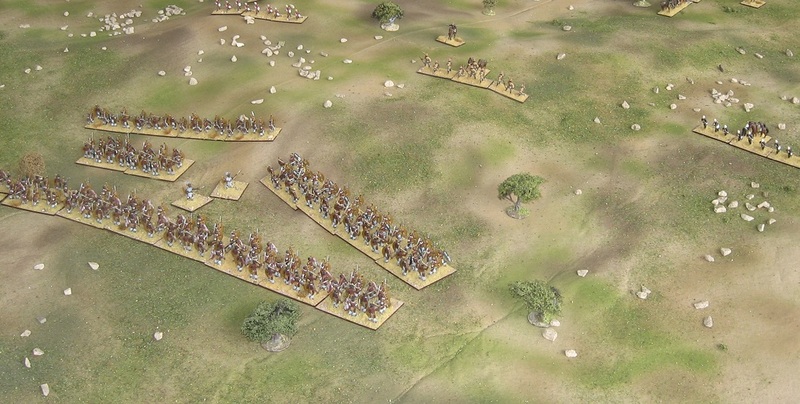 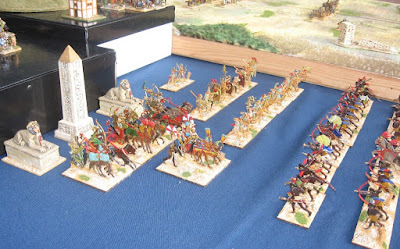 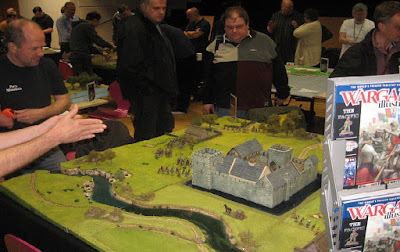 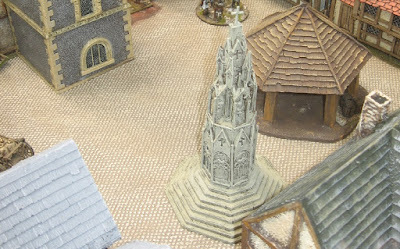 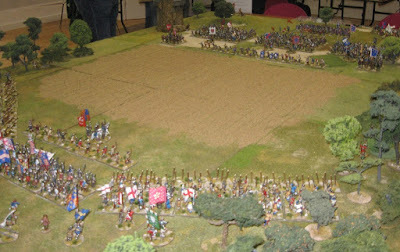 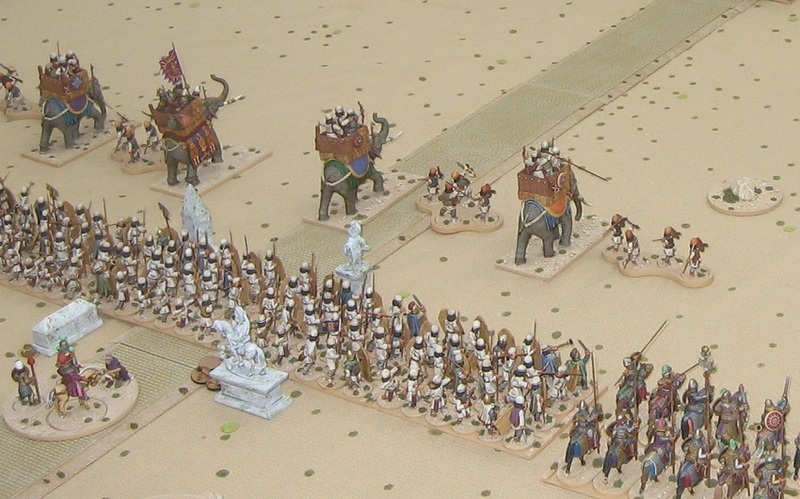 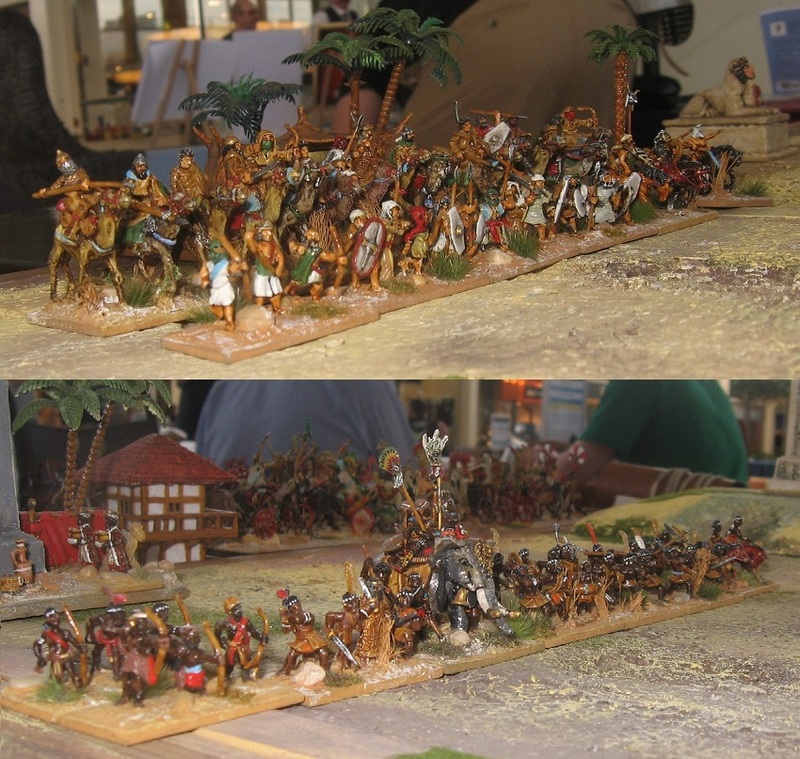 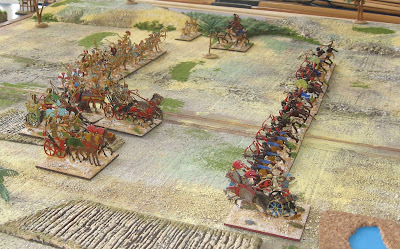 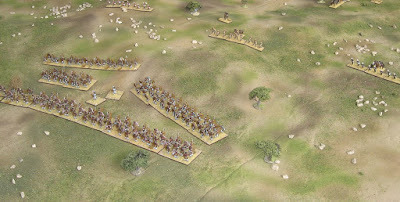 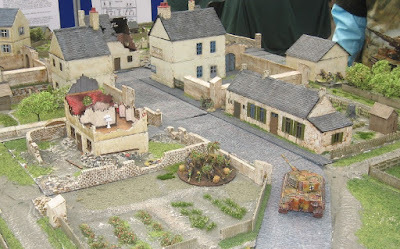 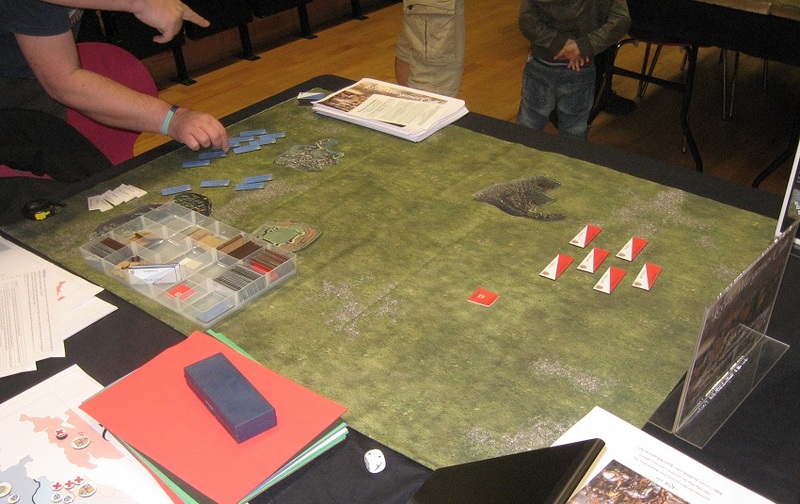 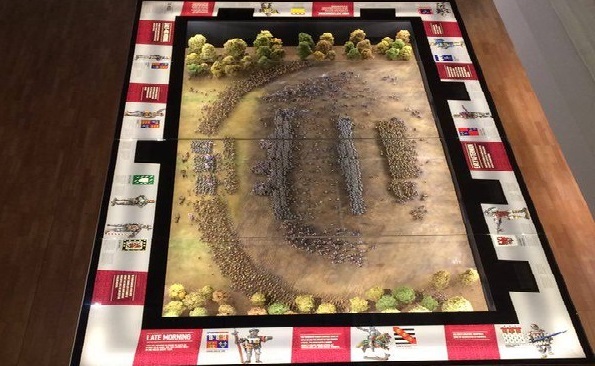 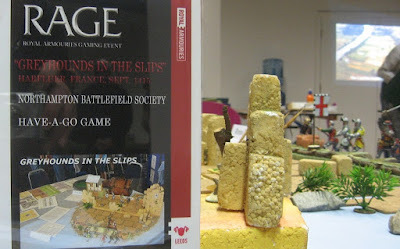 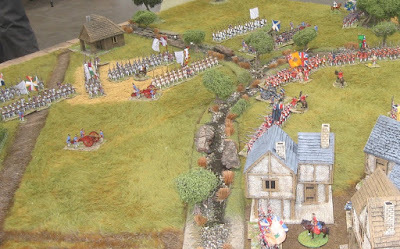 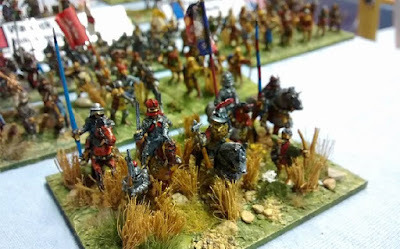 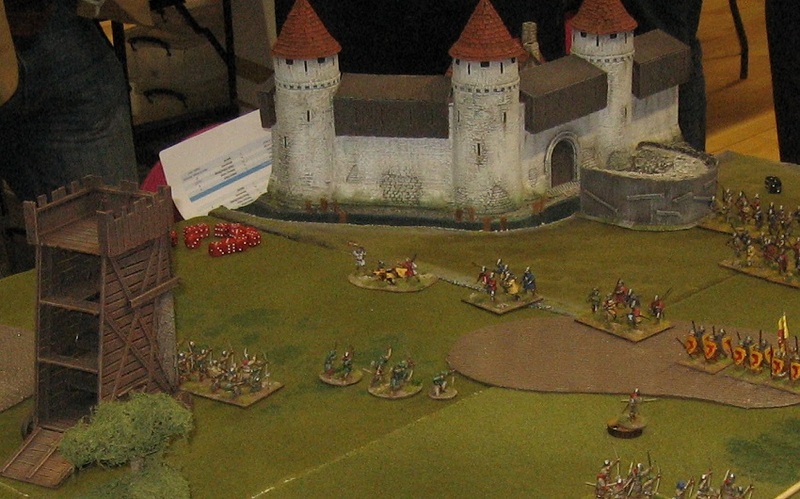 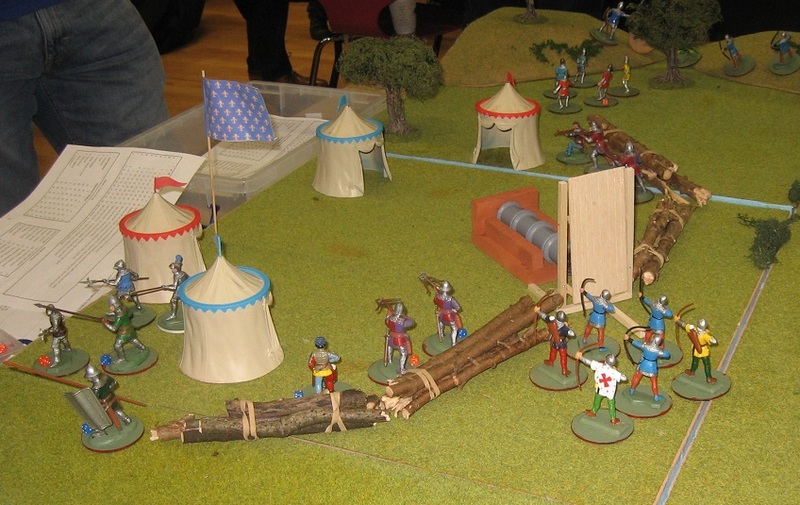 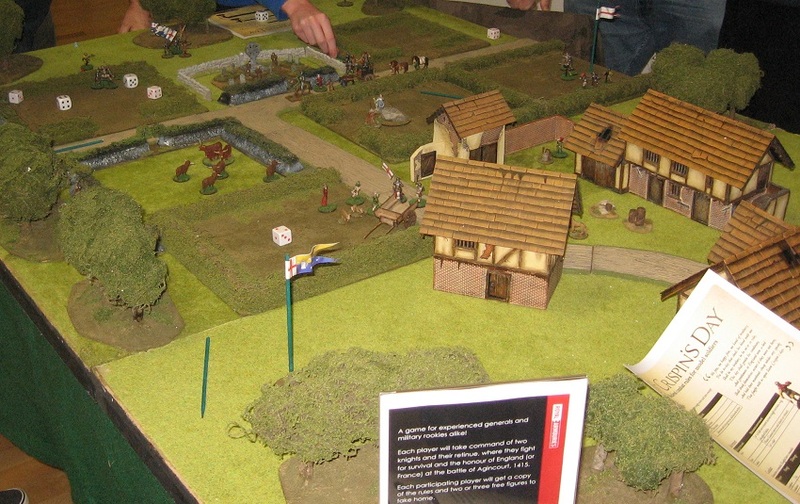 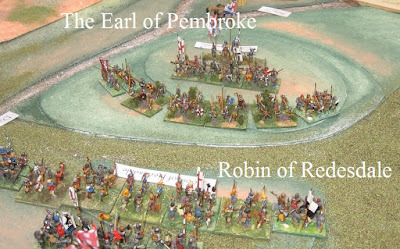 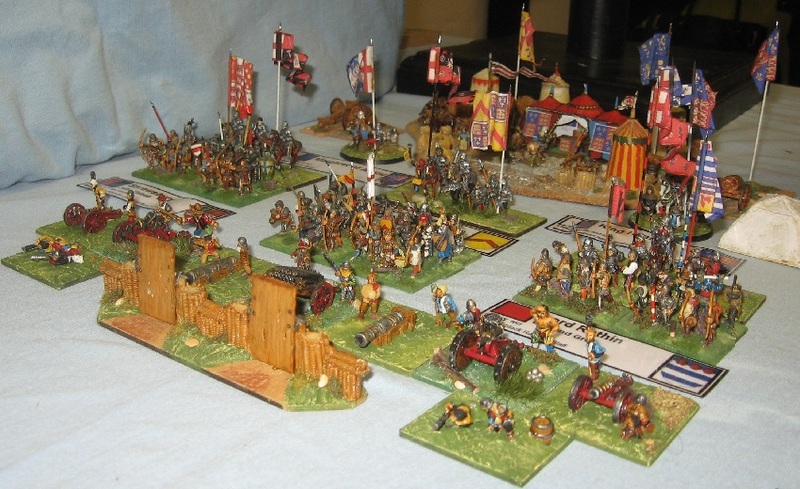 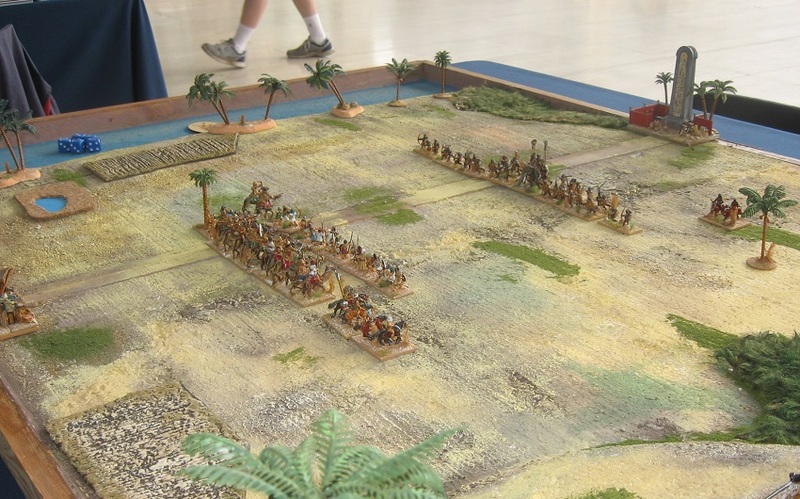 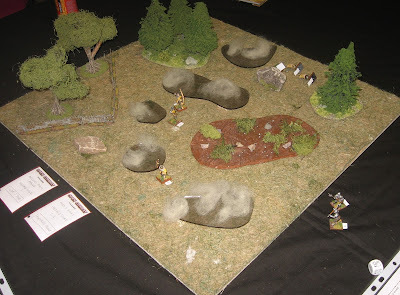 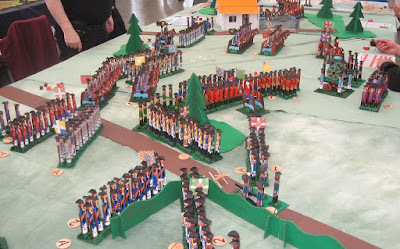 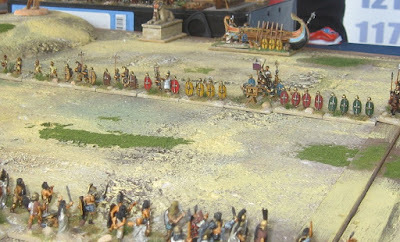 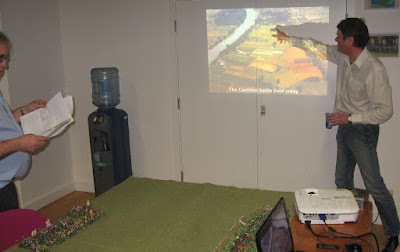 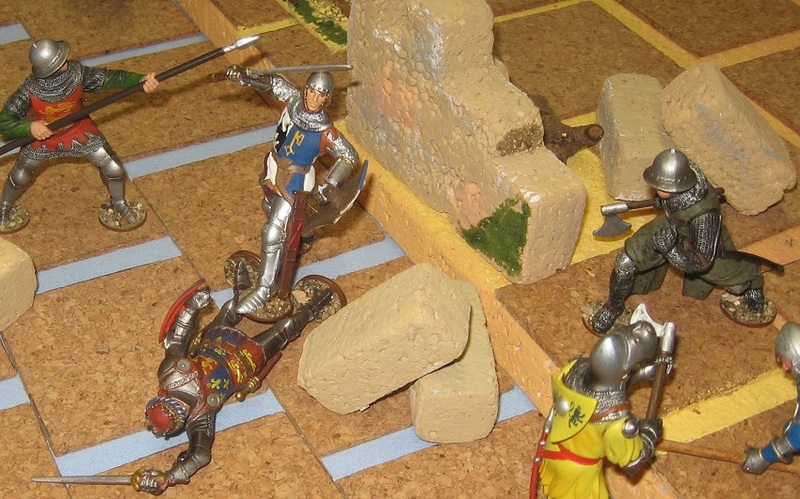 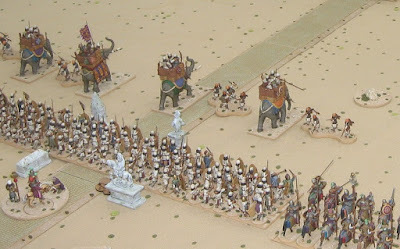 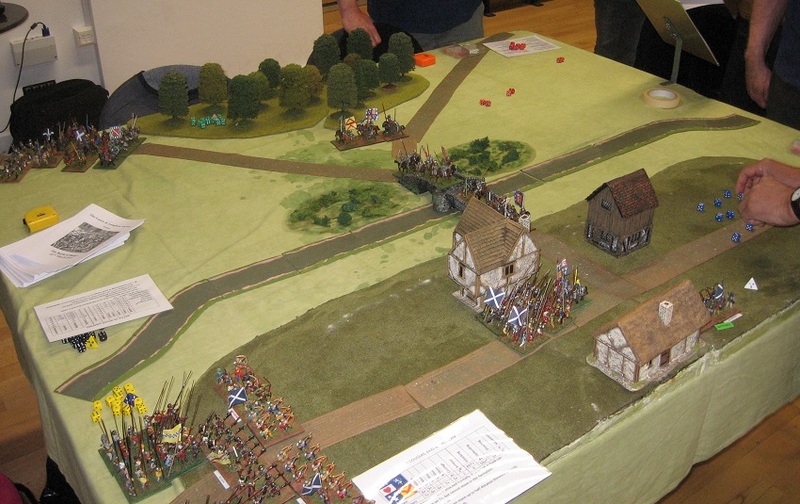 Having an aisle between the Society stands and our games (rather than the way we usually abut them) stretched us too thin and we were not able to man the stand talk about the historical battlefields and play the development game of Edgcote. 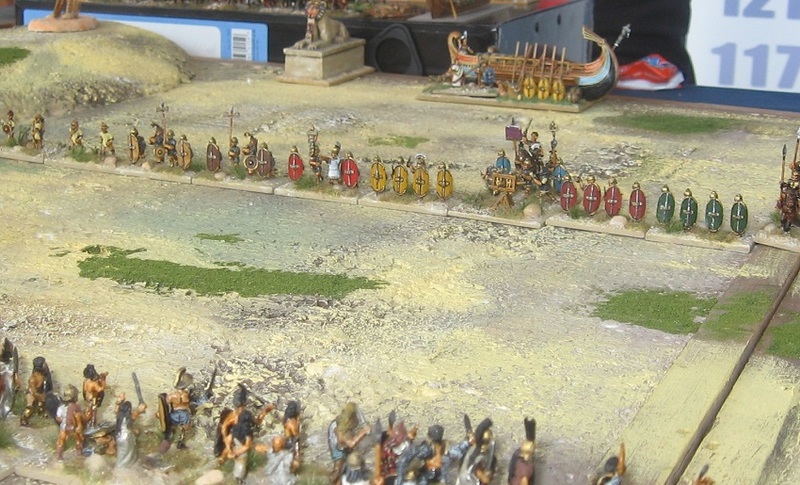 We simply did not have enough bodies to stretch over the gap. 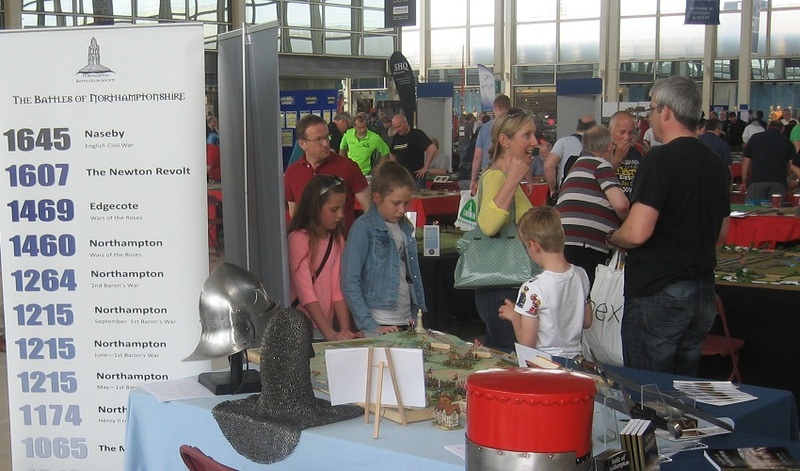 So apologies to anyone who went unattended or who thought they were ignored. Actually we were simply caught out by the layout (which was new to us). 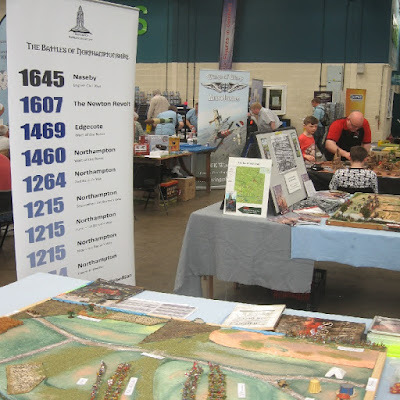 Not a whinge though - the societies did perfectly well out of the arrangements and so thank you to the organisers for a productive layout - just now we have seen how it works, we need to recruit an extra volunteer or two. 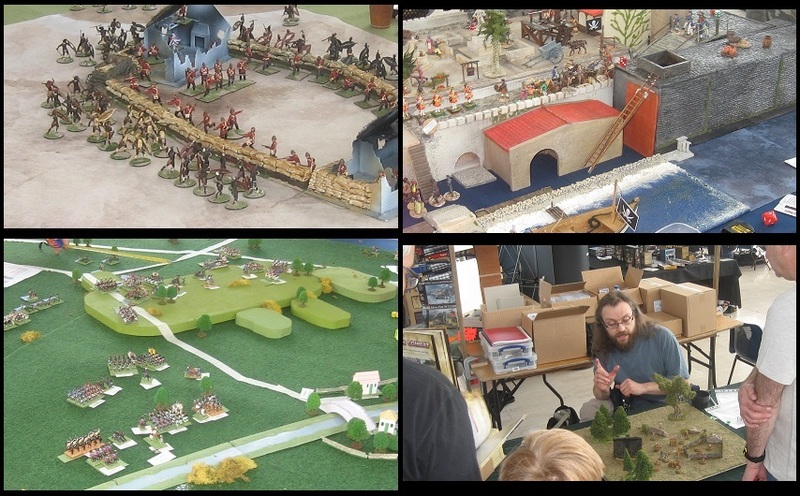 For more on the project, please have a look at Simon's blog. But most innovative has to be this toy town game where the figures have all been made out of clothes pegs!!! 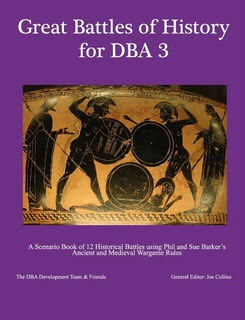 Congratulations to Joe Collins and the team for getting the Great Battles of History for DBA 3 completed and published. What a massive effort. 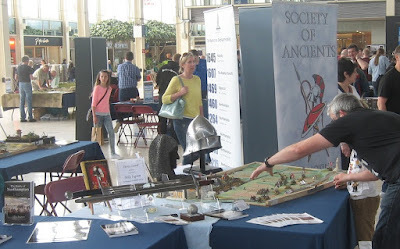 NB any profits from the hardcopy version (the one you have to pay for) go to the Society of Ancients as a mark of how important the Society has been to Phil and Sue over the years and how highly regarded they are within the Society. Click here for Keith McNelly's synopsis of what's in the book. Next stop, 2016, was Campaign in MK's Central shopping zone. 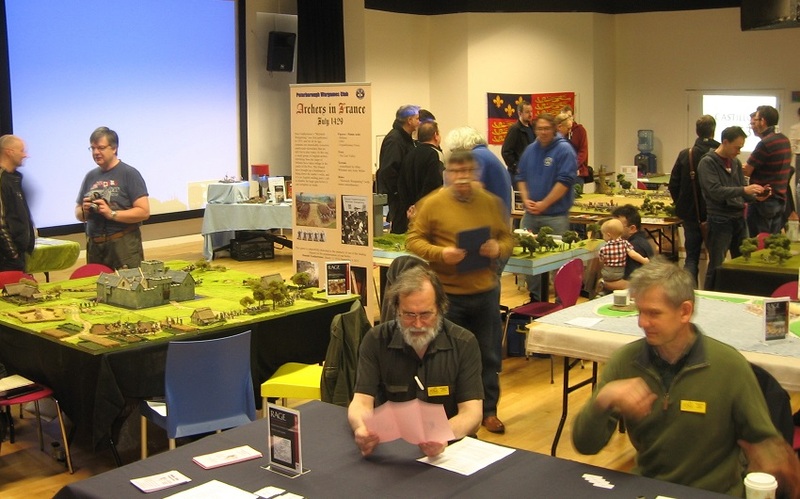 This is another of our few opportunities to meet the general public and try to engage them with wargames and military history. Again, the Society of Ancients teamed up with Northampton Battlefields Society and we had a display of replica weapons and equipment around the 1460 battle layout, the two society pitches plus a DBA table. 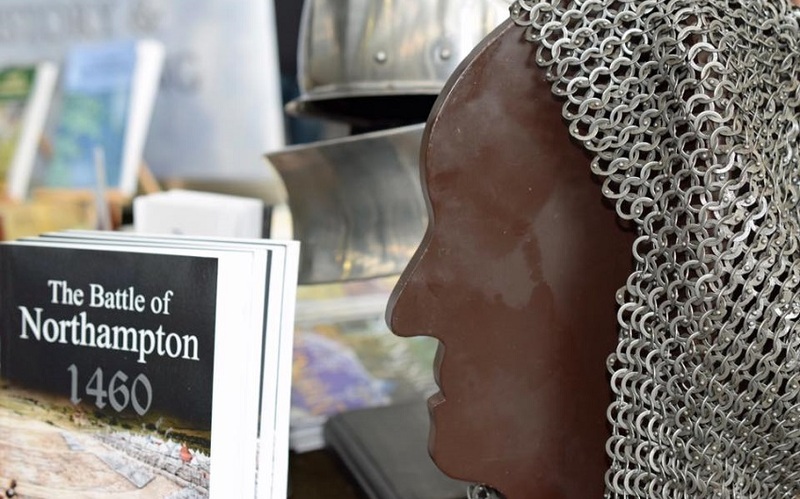 We had copies of the new book published by the battlefield society on Northampton 1460, and on Sunday the author was with us to sign copies. 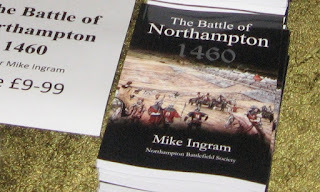 You can get the book from Amazon on the link above but if you buy it from us at a show (and I generally have some), the battlefield society gets a bigger share of the price - and any proceeds go directly to protecting and interpreting the battlefield. Recommended. We got in 4 or 5 runs of each of the DBA scenarios ... they started out pretty even until my goddaughter joined us and proceeded to defeat all comers through her mastery of the rolling a 6 tactic. 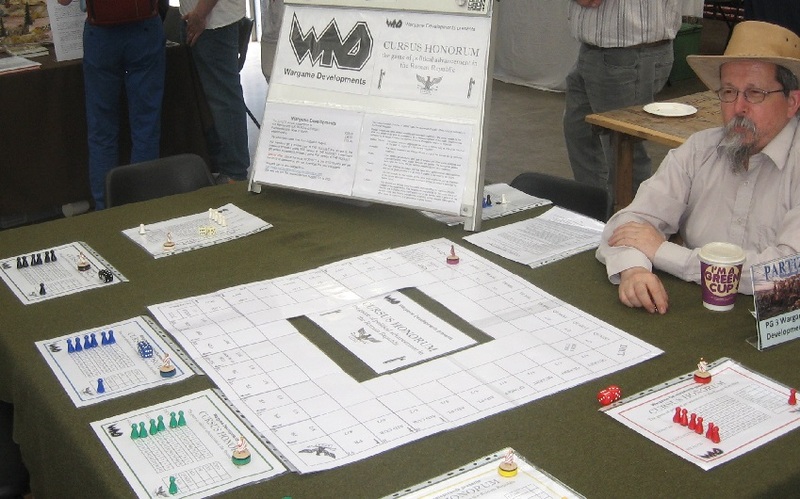 OK - she's learning the came and coming on fairly well but utterly thrashed me in the dice department as kids and females generally do. The Northampton 1460 display is always popular at this event as the battlefield is only some 20 miles or so up the M1 from Milton Keynes (and a lot of the shoppers come from much close to Delapre than that) ... we often meet current of former resident of the areas around the battlefield with anecdotes to share and fragments of community knowledge that would otherwise remain buried. Same time, there are still plenty of people who just don't know what is on their doorstep. 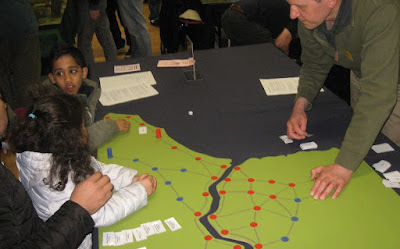 If wargames can help people be better informed that is all to the good. 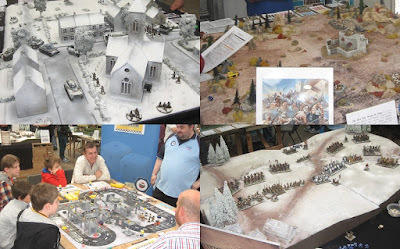 Elsewhere there was quite a good mix of games of all sorts and the big competition which the show annually hosts. If you didn't know, at Campaign, the red zone tables are a national competition, the blue zoned tables (like ours) are the public show. Together with a fair cross-section of traders and a lively Bring & Buy, it seems like a good mix. 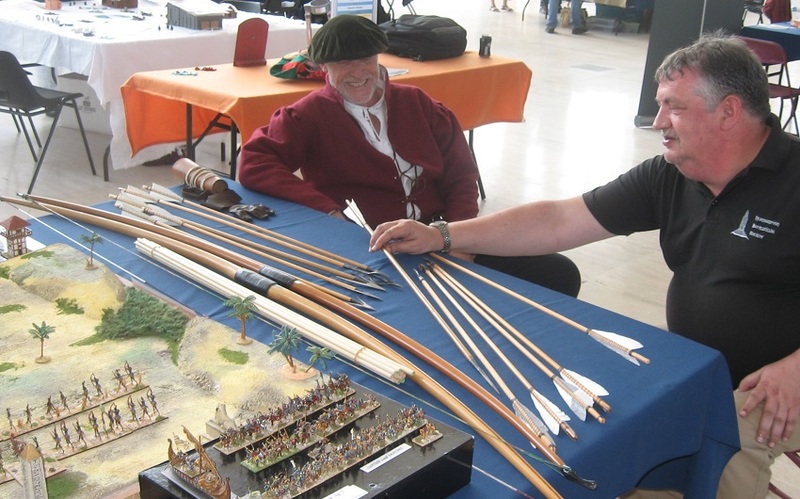 On Sunday Peter, from the battlefield society joined us, and brought some of his equipment and demonstrated some of the secrets of the longbow archer. 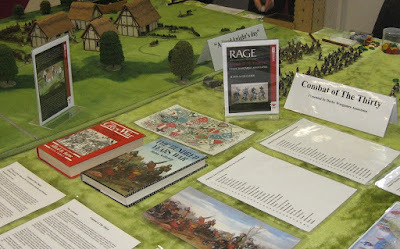 It is very handy to have these sorts of exhibits around, especially with the general public (many wargamers know this stuff already). They are fascinated and amazed by the sophistication of the military equipment of days gone. 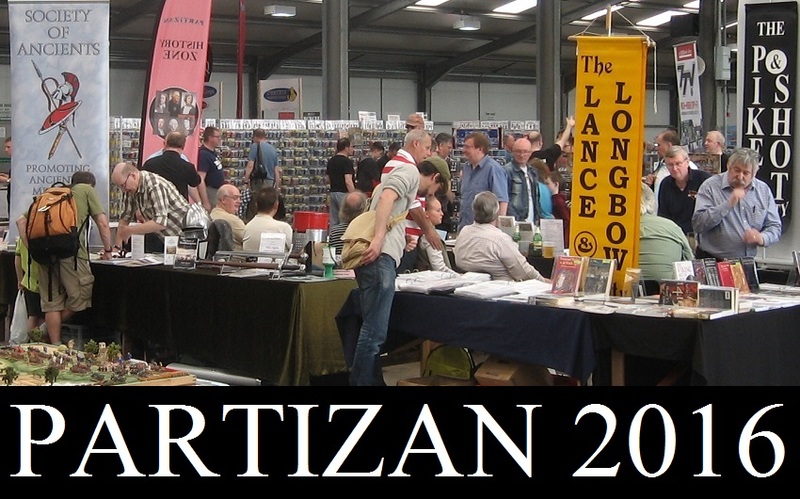 The sheer variety and quality. 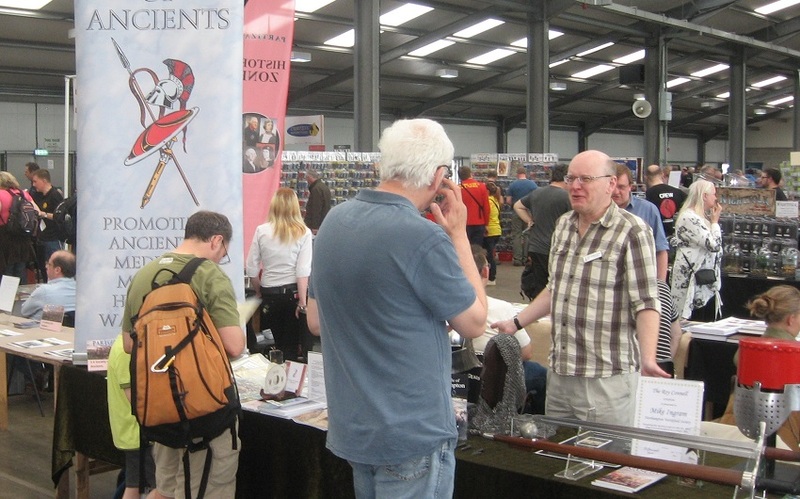 The show itself seemed a little less busy than in previous years - perhaps it was the first hot weekend of the Summer. 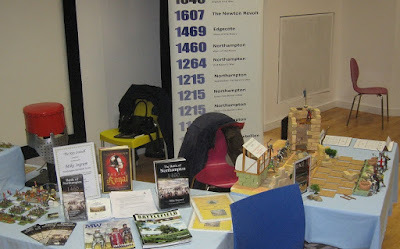 Nevertheless a very useful outing and a lot of publicity goals achieved. Thanks to everyone who did a stint on the stand or just stopped by for a chat. 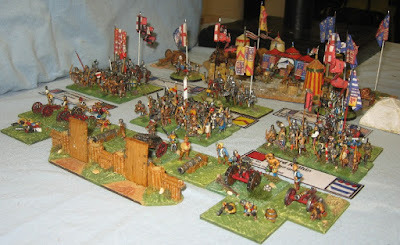 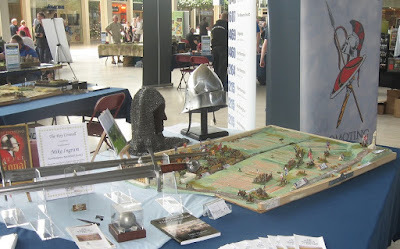 This event at the Royal Armouries was organised to mark the arrival of the Armouries' Agincourt diorama in Leeds (formerly the centrepiece of the Agincourt exhibition at the Tower of London) ..
We had a steady throughput of general visitors over the Saturday and Sunday and a range of wargames to help them explore the 100 Years War and try out wargaming. This was the first time I've been back to the armouries in a while (well, for a proper look around - which I was able to get on Saturday lunch time - at least) ... What a splendid Museum and activity centre it is. 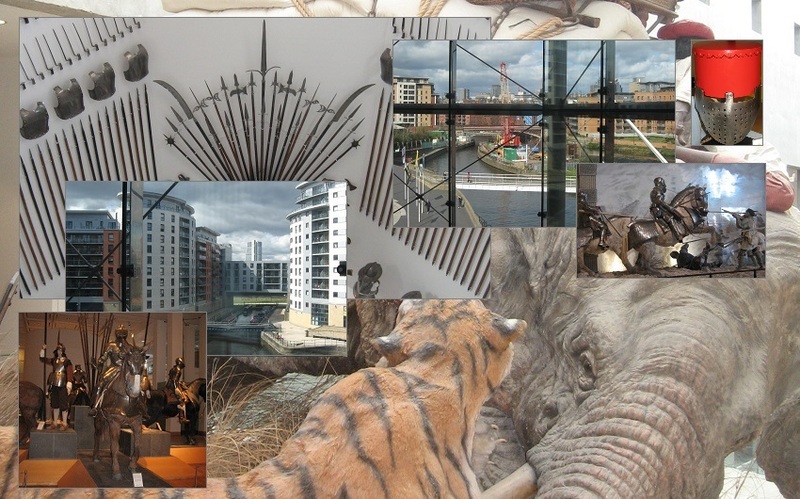 Really interesting, achieved with absolute quality - and a national asset we can all be proud of. 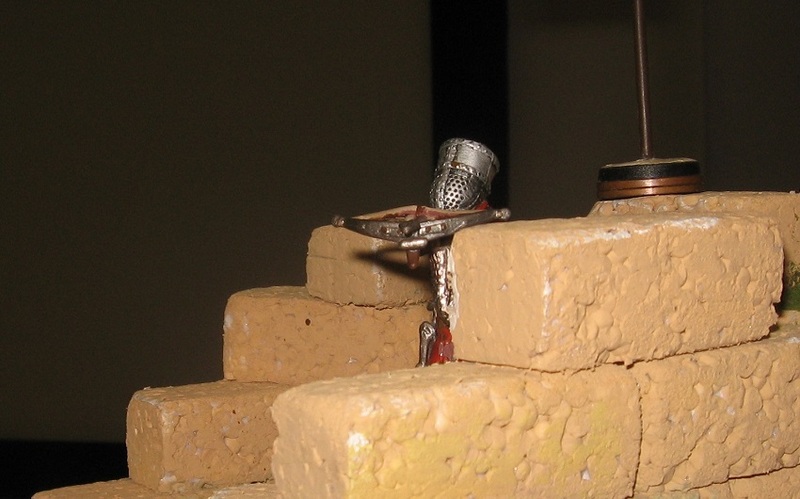 World class. 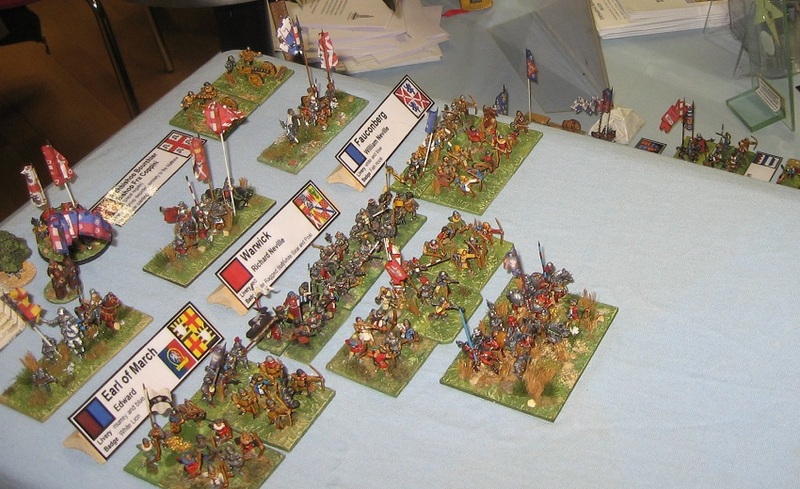 We played GitS a total of 16 times (OK: I may have missed one or two) and, with differing degrees of success, Henry took Harfleur 12 times. The other four times, his heroic story ended early, killed in the storming of the town (usually by an unexpected counter-attack after a failed hack at someone) ..
And what a joy it was to have (mostly young) players playing Henry V, on St George's Day, quoting their Shakespeare, on the 400th anniversary of the bard's last gasp, and in the Royal armouries. 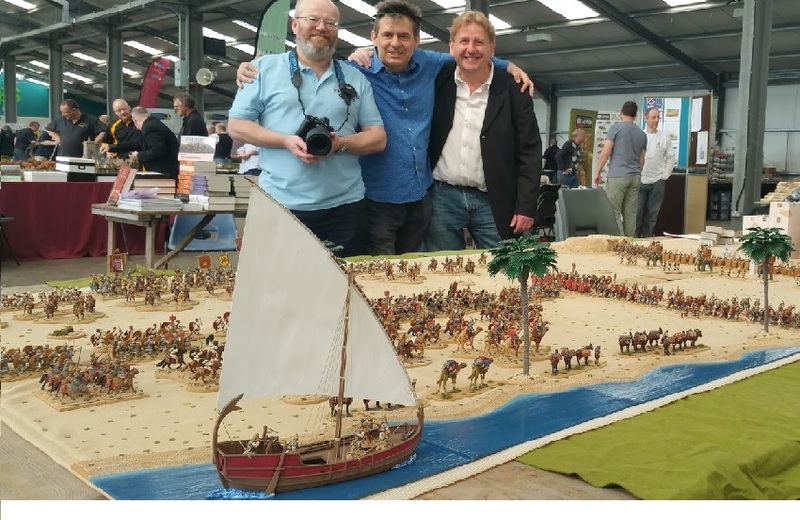 That ticks a lot of my boxes. No finer venue. 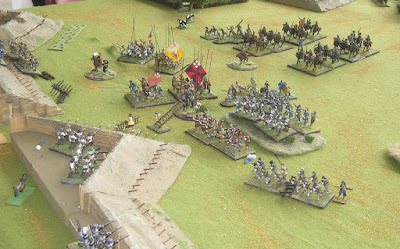 No better day. You can see the Battle of Northampton at Campaign in the Centre MK on 7th and 8th May. 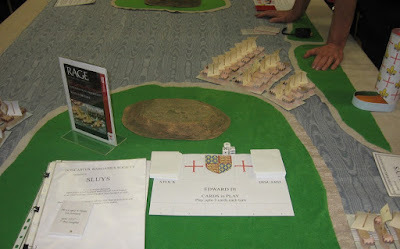 What a great weekend - and hopefully some new recruits for our shared interests ... well some seeds sown. Greyhounds in the Slips is part of a two game pack A Domino Double Header published by the Society of Ancients ... get one while stocks last! 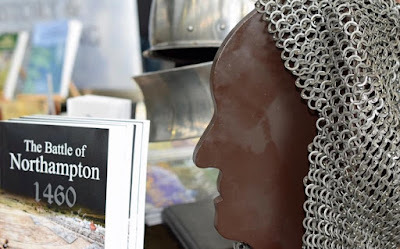 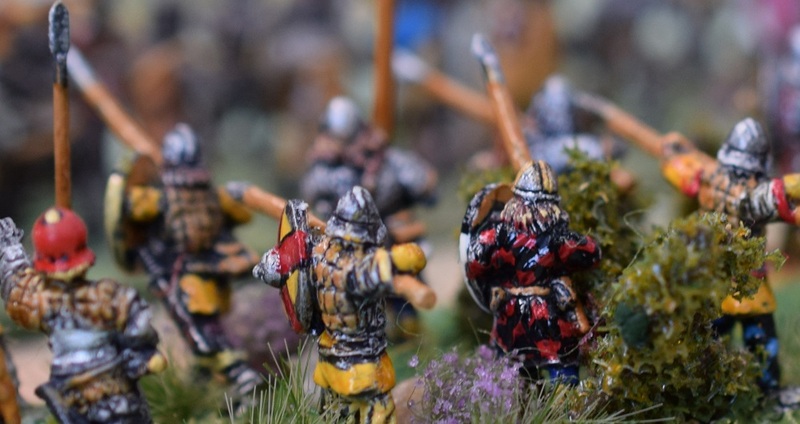 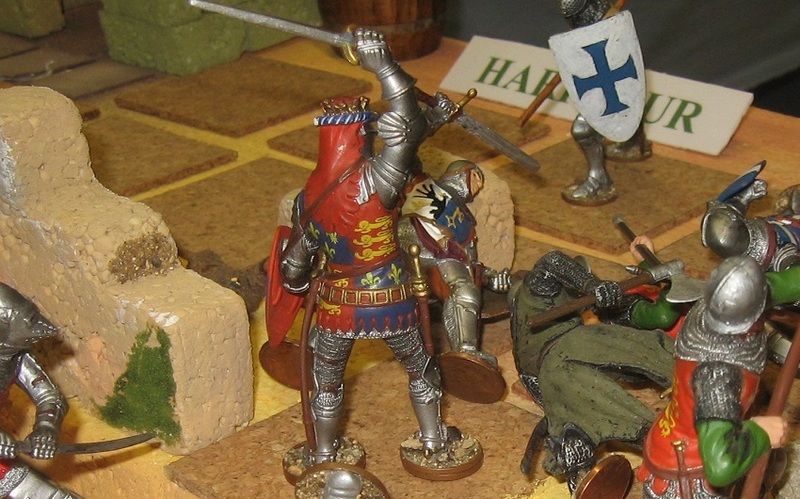 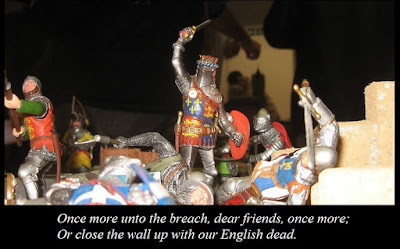 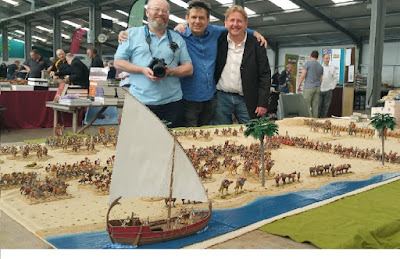 See us next at Milton Keynes ... we will have The battle of Northampton 1460, supplies of the 1460 book and some pick up ancient and medieval games for you to try out ... DBA, ADLG etc.